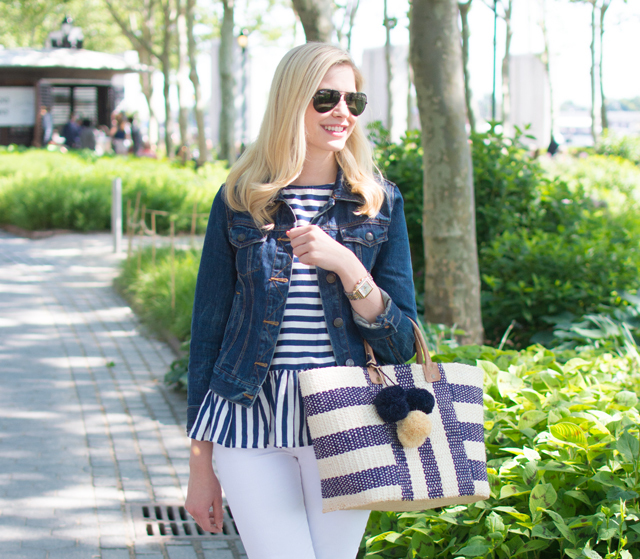 Blue and white is one of my all time favorite color combos and I especially love it during the summer months. The color combo is so timeless and leaves outfits feeling fresh and crisp. 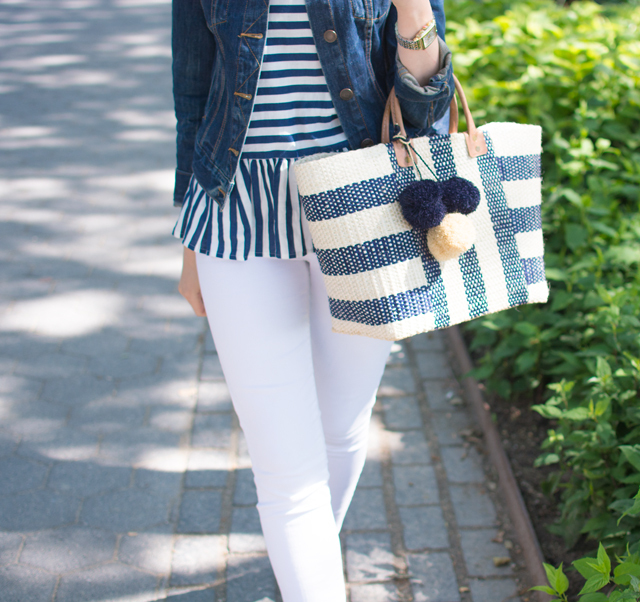 Because of my love of these colors, I picked up this striped top and tote for summer and they have already become summer staples. Love this outfit!! So gorgeous!! 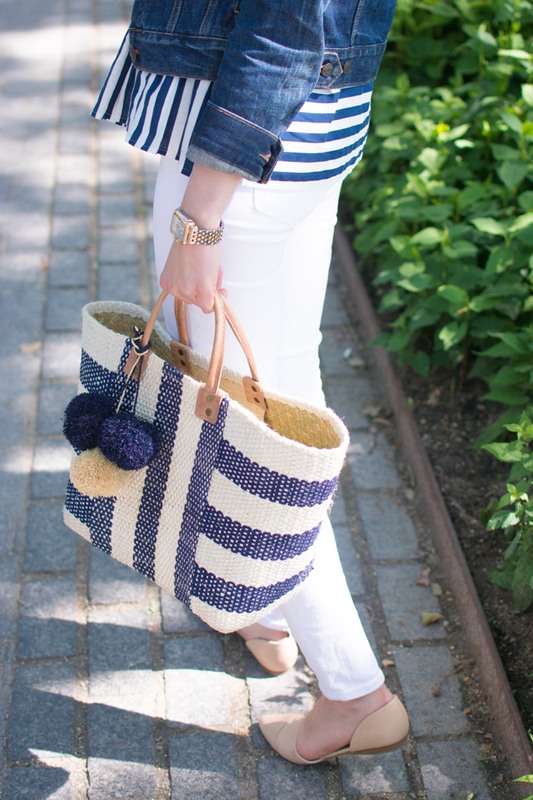 I'm obsessed with the tote!! Really great post!